Mizoram has recorded the overall voter turnout at 63.08 pc with 63.60 male voters and 62.53 female voters in the first phase of parliamentary polls. 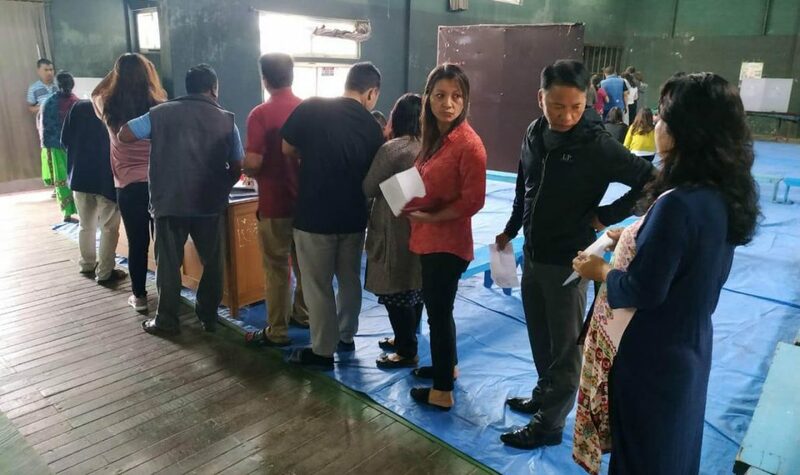 Polling for the lone Lok Sabha seat in Mizoram and the bypoll to the Aizawl West Assembly constituency were held on Thursday. According to information provided by the office of chief electoral officer of Mizoram, Lunglei district recorded the highest poll percentage of 65.37. While Mamit district’s voter turnout was 63.15 per cent, Kolasib recorded the turnout at 61.91 pc, Aizawl district 62.80 pc, Champhai 61.30 pc, Lawngtlai district 64.69 pc, Saiha 60.03 and Serchhip district recorded the voter turnout at 63.92 per cent. Six candidates from the state are contesting for the lone Lok Sabha seat, results of which will be announced on May 23. While the state of Mizoram usually records a voter turnout of above 80 per cent in the Assembly elections, the state records lower voter turnout in the parliamentary elections. The state recorded 63.36 per cent voter turnout in 2004 parliamentary polls, 50.93 per cent in 2009 and in 2014 Lok Sabha elections, Mizoram recorded 61.06 per cent voter turnout. There were 117 all women polling stations, manned by women polling officials and women security personnel for the lone Lok Sabha seat in the state.